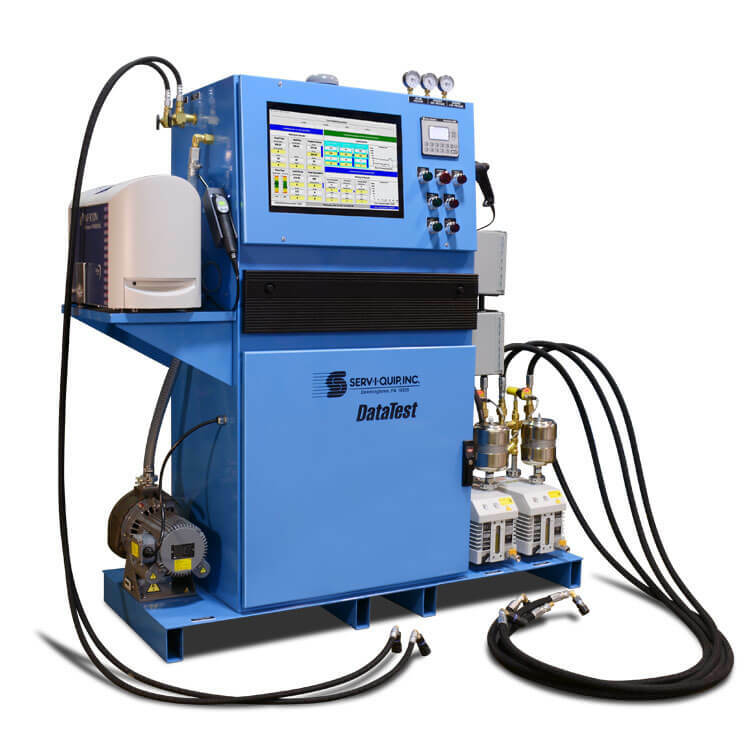 These systems can be configured to accommodate multiple units in a mixed production environment and automatically sequenced to provide a comprehensive, efficient leak testing process. Attaching DataServ 3.0 to this test process can create a very effective tool to monitor , record, and improve your process and product quality. DataServ 3.0 provides a detailed operator interface, a process analysis tool, test result storage and retrieval, communication with upper level process scheduling systems, maintenance support, and remote intranet / internet access. These systems can operate from a local test gas supply or in conjunction with our centralized Helium Recovery and Recycle System. Total Units Processed to Date.